Carbamide peroxide is basically a compound that consists of hydrogen peroxide and urea. It has a bleaching effect on our teeth and that is why this compound is now being regularly used for the making of the latest teeth whitening products available on the market today. Carbamide peroxide is an oxidizing agent that is commonly present in most of the teeth whitening products and treatments available today and it is widely recommended by cosmetic dentists all across the world for its gentle yet effective whitening formula. It is the key ingredient in all professional dental strength teeth whiteners in-office and certain at-home treatments. Carbamide peroxide in its purest form is basically white in color, available in the form of powder or crystal. It is a water soluble ingredient, a chemical to be more precise, and contains about 35 percent of hydrogen peroxide. Hydrogen peroxide is the active ingredient of carbamide peroxide, which is also one of the most widely used bleaching agent that helps in removing stains and discolorations from the enamel and dentin of teeth. The peroxide component contained in the teeth whitening formula breaks down into oxygen and hydrogen, which further helps in removing the pigmented components from your teeth using carbamide peroxide as the bleaching agent. 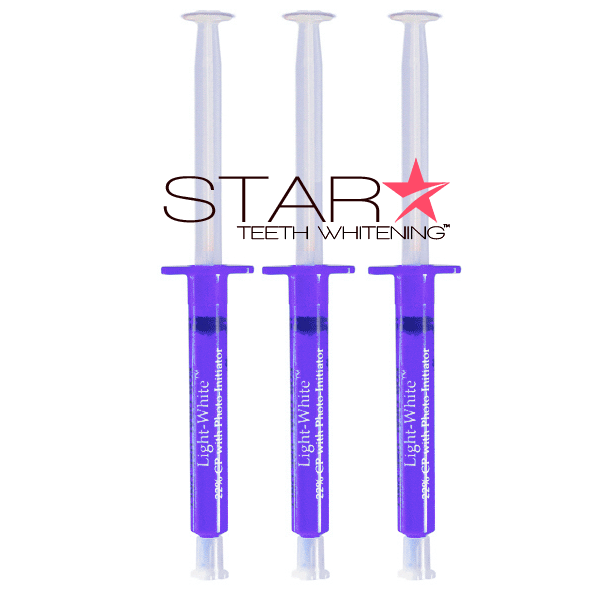 The oxidizing agent is a common component in almost every effective teeth whitening system. There are different methods that incorporate the use of carbamide peroxide for whitening teeth including at home teeth whitening treatments, night guard teeth whitening applications, surgical applications and in-office teeth whitening treatments. 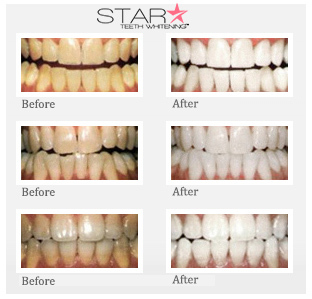 The bleaching effect of the peroxide based solution or gel usually depends on the time taken to keep the gel applied onto the teeth and also the concentration of the compound used for the making of the whitening formula. Higher concentrations ensure better results. Dentists preferably use 22 percent carbamide peroxide for better results. 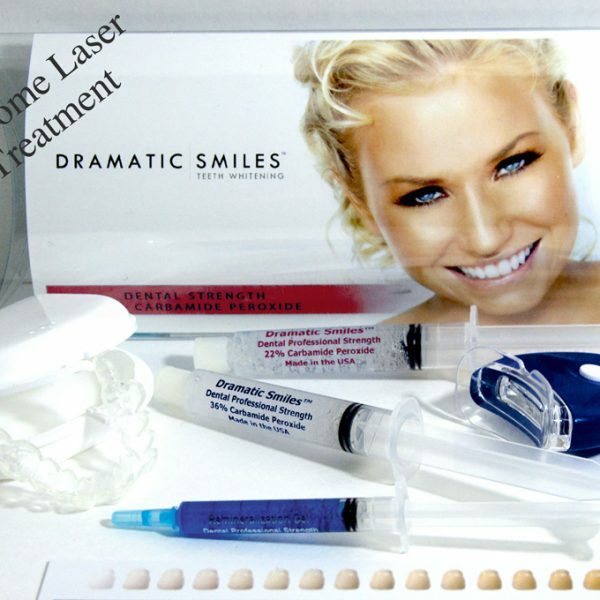 Bleaching treatments and teeth whitening formulas containing 22% carbamide peroxide are considered to be the best and the most effective of all. No teeth whitening treatments are devoid of side effects and so is carbamide peroxide. Dentists usually recommend products that contain 10% carbamide peroxide and not more than that. Carbamide peroxide, when used in abundance, can cause tooth sensitivity. Experts suggest that using tray-based at-home teeth whitening systems that use carbamide peroxide as the primary ingredient for bleaching should be used. Using 35% carbamide peroxide formula are believed to have lesser effects in your mouth, especially the mineral content of the tooth enamel and the micro hardness of your tooth. However, the results might not manifest as early as you are expecting, considering the lower percentage of carbamide peroxide content, but it will definitely result in gradual changes in the color of your teeth. You should aim to have bright, white teeth without any side effect and maintaining a certain percentage of the bleaching agent will serve the purpose. While it is very important to learn that teeth whitening systems containing carbamide peroxide is very effective, it is even more important to verify whether or not the teeth whitening system is safe. Not all carbamide peroxide based teeth whiteners are safe for use and therefore you ought to be very careful when you are choosing a product. The tray-based at-home teeth whitening systems were first introduced as one of the most effective treatments containing 35% of carbamide peroxide solution. Although this method was considered to be devoid of any side effects, scientists came up with their own viewpoints that stated the different after affects of the treatment. Nonetheless, it is possible to overlook these issues considering the fact that an overwhelming majority of the dental community are now very much in favor of these treatments. 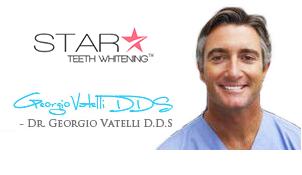 This in fact has popularized the teeth whitening treatments to a great extent. Why is Carbamide Peroxide used? Carbamide peroxide is used in teeth whitening products for bringing about the bleaching effect thereby making your teeth brighter and whiter. Tooth whiteners of all types must contain peroxide compound for removing the stains and recreating the whiteness once again. Peroxide molecules usually breakdown to form hydrogen peroxide, quite similar to the process of oxidization, which in turn takes the whitening process forward. You must be thinking why not use hydrogen peroxide directly rather than going round the bush? Well, hydrogen peroxide is directly used in some cases, but most of the times carbamide peroxide is used for teeth whitening because it is more stable relatively than its other counterpart. With the use of carbamide peroxide instead of hydrogen peroxide in the formulation of the whitener, the manufacturers can deliver the required hydrogen peroxide for producing the brightening effect while creating a product which is more predictable and has a longer shelf-life as well. Yet another factor why carbamide peroxide is considered is that when the hydrogen peroxide compound if used in the making of a whitener it tends to decompose rapidly than the carbamide peroxide formula. As a result, the whitener loses out the effective molecules that create the whitening effect after being placed inside the mouth. Carbamide peroxide tends to degrade slowly than hydrogen peroxide, which is why it is a more preferred ingredient. Studies have proven that a tooth whitener composed of carbamide peroxide will usually release 50 percent of the whitening potential in the first couple of hours after being placed inside the mouth and the remaining over a period of 2-6 hours. Slower release of the carbamide peroxide ensures gradual teeth whitening. It also helps in reducing the side effects of teeth whitening. 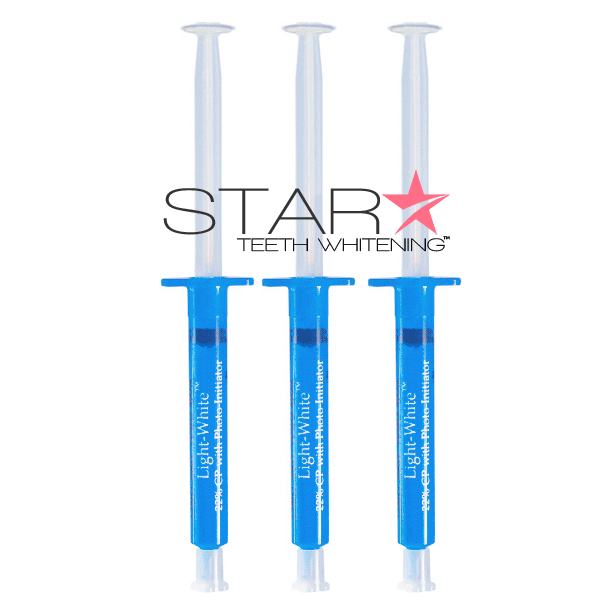 The increasing popularity of carbamide peroxide based teeth whitening systems is due to its gentle effects on your teeth and the enamel particularly. Most of the teeth whitening products today are harsh and they can as well damage your tooth enamel badly. However, with carbamide peroxide, studies have proven that the mineral content of the tooth is least effected by the formula. 22% carbamide peroxide based whiteners are now considered to be the safest teeth whitening gel that can be used by anyone. However, you must carefully read the label and also consult a dentist before you try out any of these treatments by yourself on a precautionary note.